Cripps Barn is such an amazing venue that Cripps Barn Wedding Photography will always be easy to capture. As a photographer who has hundreds of weddings under his belt and had the time to really get to know the venue at Cripps Barn. I know that understanding how the space works can make a huge different to the final outcome, creating images which friends, family and newly weds will cherish for many years. It’s always a genuine pleasure to work with a couple and share their big day with them at the the beautifully picturesque barn as it’s an exceptional place to host a wedding. It has to be one of the best barn-style wedding venues in the area for sure. 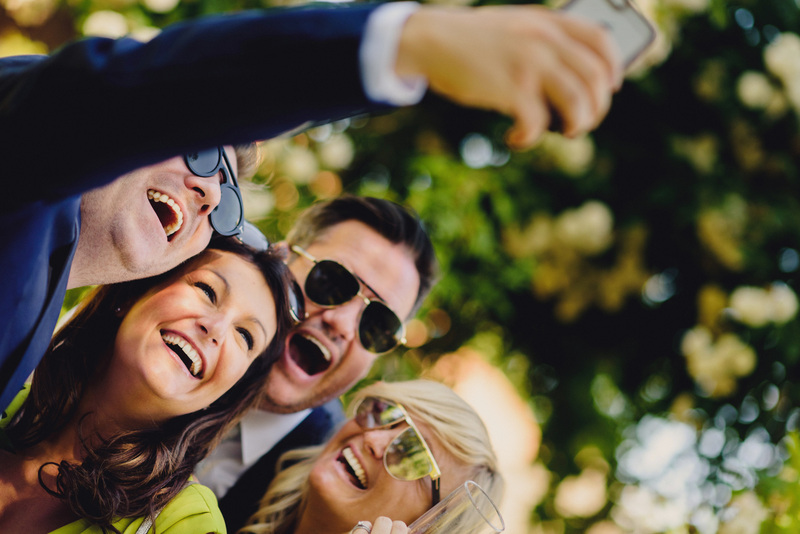 I find that my couples always love the photos that come out of the weddings as I capture all the important moments from the day, from the excitement of the bridal preparations to the groomsmen’s pre wedding drinks. The energy and excitement of walking down the aisle and those rare intimate moments that couples share with each other. While most of my work is unobtrusive allowing everyone to enjoy the day, capturing candid moments as they happen between the guests and the newly weds, that’s not to say, I won’t try to escape with the bride and groom for a few moments and take some epic portraits. Cripps Barn nestled in the stunning countryside is the perfect backdrop for any big celebration – I think it’s without a doubt one of my favourite UK wedding venues, certainly my favourite Gloucestershire venue. The atmosphere has always been relaxed, informal and fun, allowing me to get the most natural and professional images . So whilst I take on a limited amount of weddings a year I will certainly make time to fit in a trip to Cripps Barn. The elegant Cripps Barn near Bibury in Gloucestershire is a magnificently-isolated, Cotswold-based, stone wedding barn in the heart of the beautiful Coln Valley countryside. After opening in 1990 Cripps Barn has been providing all you could need for a truly wonderful wedding day for the best part of 30 years. There’s something for everyone at Cripps barn, with a simple aesthetic – flagstone floors and an open fire place, a nod to its rustic roots. The Stone Barn is a small, family-run business which gives it that extra charm and is certainly one of the best wedding venues in the area. There are a range of options for prospective brides and grooms, with the option to have your ceremony indoors (in the Stone Barn – accommodating up to 100 seated guests) or outdoors which would take place in the delightful glade in the woods beneath an oak structure, the enchanting woodland gardens offer beautiful backdrops for your all-important wedding photographs too. You and your guests can also make use of the charming Oak Room, connected to the barn by huge 12ft barn doors which houses up to 150 guests. Perfect for any reception. With a collection of fire pits on the terraces and a bonfire too, there are numerous options for those who want to make use of the outdoor spaces and for those who want to go the extra mile. The stunning Cripps Barn also offers completely free onsite camping for guests in the field behind the wedding barn. Perfect for rolling into bed after a late night of celebrating as the venue has a licence until 1am. There’s so much on offer at Cripps Barn, and you can certainly celebrate in the most beautiful surrounding. Believe me it shows in the photos! 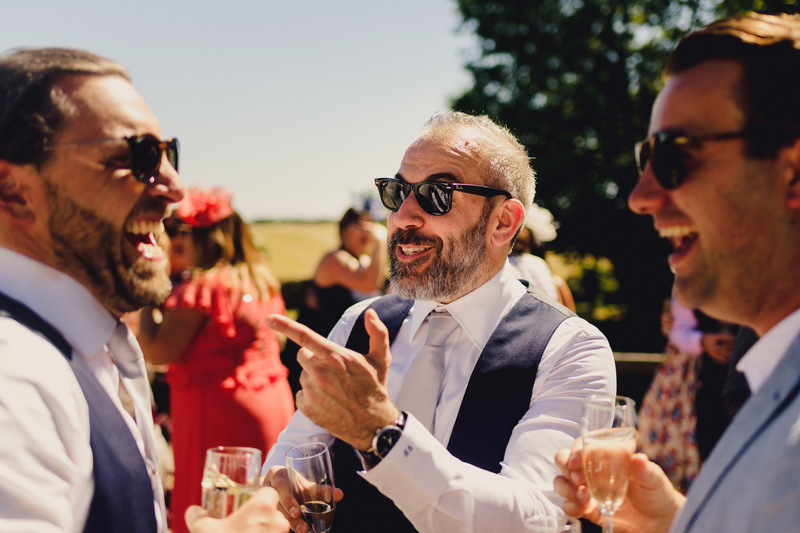 As a Cripps Barn wedding photographer I love places like Cripps Barn, if you’re looking for a rustic equally elegant, modern venue for your wedding then this could certainly be the one for you – it has a lot to offer for every couple, every bride and groom. Cripps Barn is a stunning venue inside and out and yes. It will match your expectations but one thing that you can’t quite convey in writing is the food. If you want somewhere with incredible food and great service, this is the place for you. The beautiful Cripps Barn offers delicious food cooked on a giant rotisserie or on an all-weather BBQ. The team creates delicious meals, barbecued lamb, chicken with cream and tarragon sauce, a whole suckling pig with roast apples or even Gressingham duck with wine and blackcurrant sauce. I could go on but I’ll hold back! Wedding photography has taken me shoots and venues all over the uk and further afield – lugging my cameras, lights, lenses and gear but Cripps Barn is always one that stands out because it’s of the beauty of the grounds. It’s phenomenal country-side venue for ceremonies, receptions, speeches, meals, parties, free camping (!?) and everything in between. Getting Married at Cripps Barn, in Gloucestershire?